My Autobiography, by Bill Samuels, Jr., is the fascinating life story of the world's premier bourbon brand, Maker's Mark. From its proud but humble beginnings in Happy Hollow, Kentucky, the brand has grown to near cult status around the world, avidly sought after by spirits connoisseurs who crave its smooth, complex, and unique taste, and who appreciate the master craftsmanship of a product made the old-fashioned way — by hand. This is also the story of the Samuels family, notably Bill Samuels, the progenitor of the Maker's Mark line, his wife Margie who created the distinctive red wax seal, and Bill Samuels, Jr., who is the author of this book and the flamboyant marketing genius who ran the company from 1975 until 2011, when he turned the reins over to his son Rob. 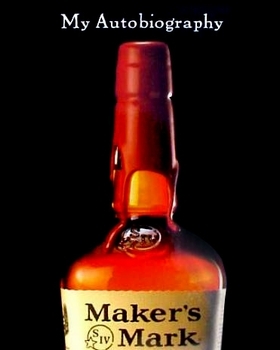 Bill, Jr. continues to serve as a brand ambassador for Maker's Mark. Inside you'll find a bit of history, some great stories, great photographs of the loveliest little distillery in America, a primer on how to taste and enjoy bourbon, and even great food and drink recipes, including the one most requested all year 'round: how to make the world's best Mint Julep.